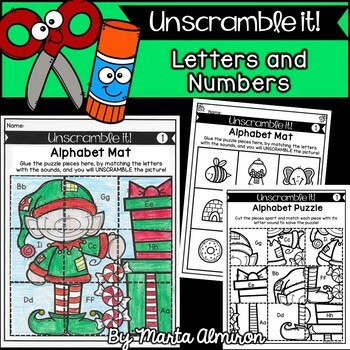 This is a new and fun literacy center (or math) for Christmas season. 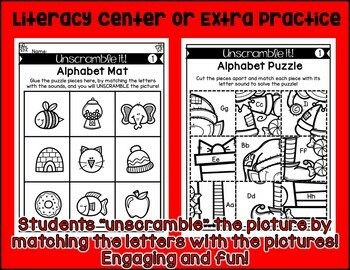 Students must cut and glue each piece of the puzzle matching the letters (or numbers) to the corresponding beginning sound (or ten frames). 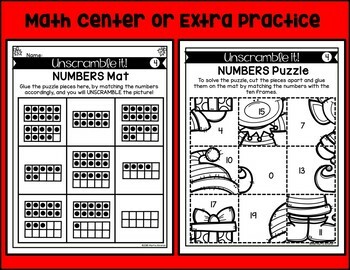 ✔ 6 numbers to 10 puzzles. 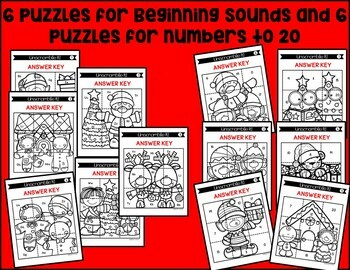 Includes a total of 18 different puzzles (6 per skill)!